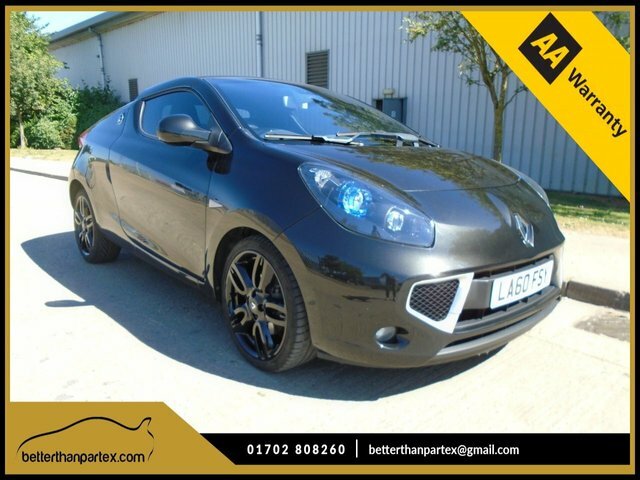 Save money on a used Renault car in Rochford by speaking to the team at Better Than Part Ex Ltd today. We're the area's leading supplier of quality pre-owned vehicles and we'll always go the extra mile to ensure our customers find the right model to suit their needs. Inject some fun into your daily commute with the help of a used Renault Clio, or turn to a Renault Grand Scenic if space and refinement are your two main concerns. You'll find our complete range of used Renault cars listed here on the website, but be sure to contact a member of the showroom team if you'd like more information. Booking a test drive is easy ? just contact us today. Finance is available to UK residents aged 18 years or older, subject to status. Terms & Conditions apply. Indemnities may be required. Other finance offers may be available but cannot be used in conjunction with this offer. We work with a number of carefully selected credit providers who may be able to offer you finance for your purchase, commission may be received. We are only able to offer finance products from these providers. Postal Address: Better Than Part Ex Ltd, Yard 1, 8 Purdeys Way, Rochford, Essex SS4 1NE. Find contact details here.